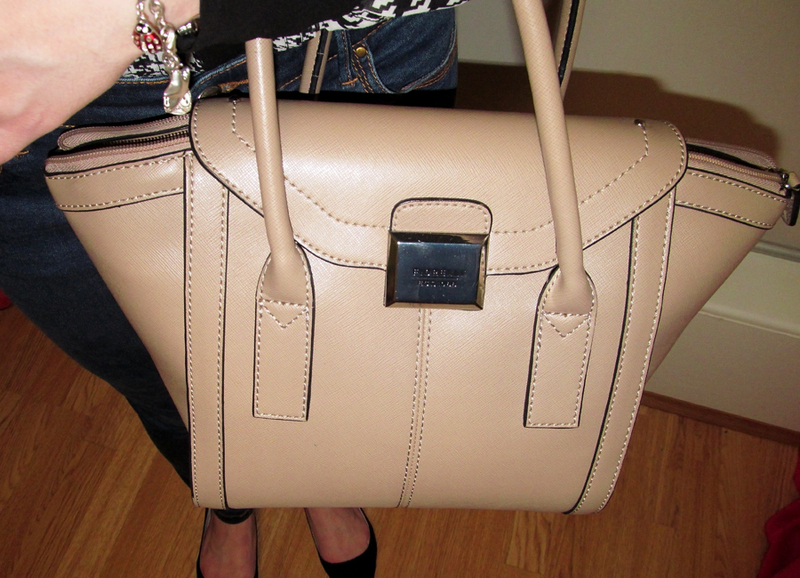 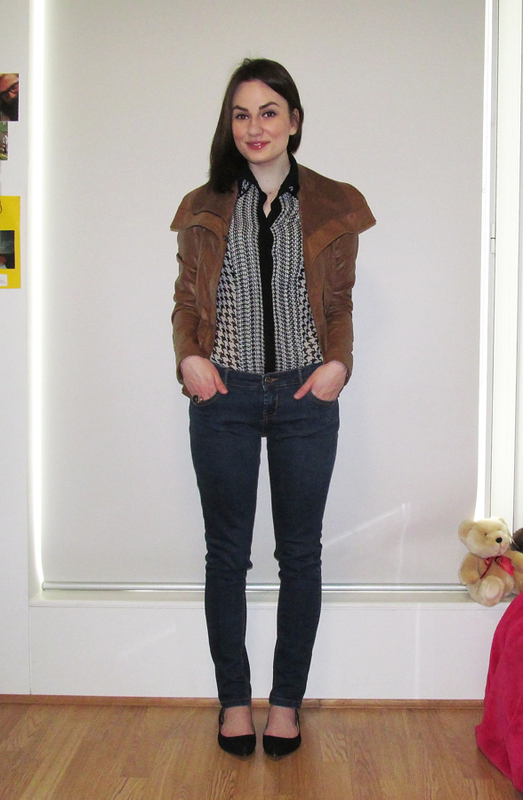 Like mixing casual with something more strict and elegant. 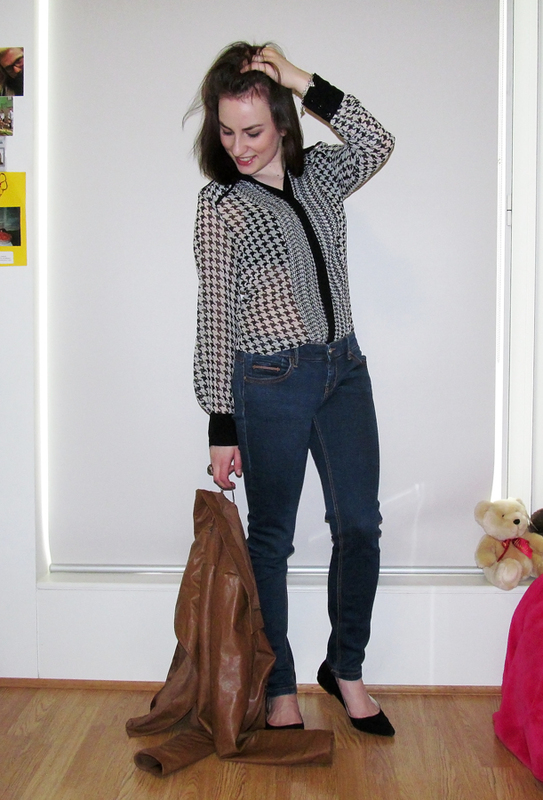 Just like jeans with blouse and pointed ballerinas yesterday. 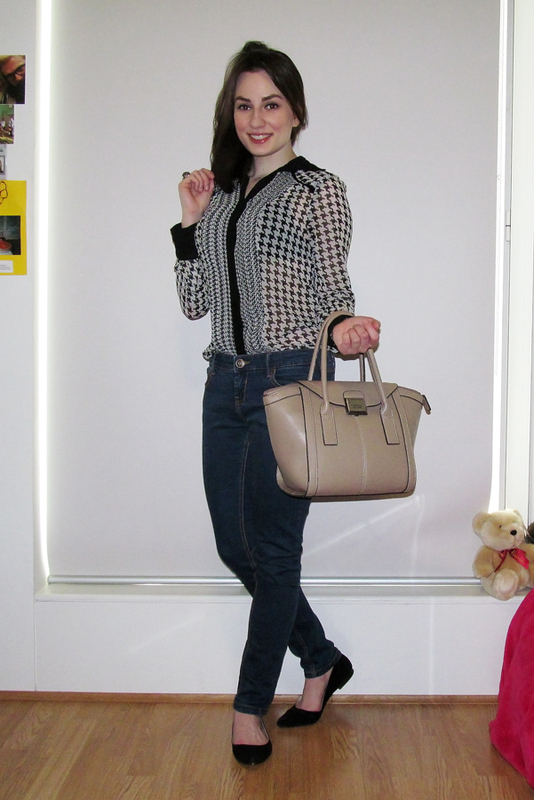 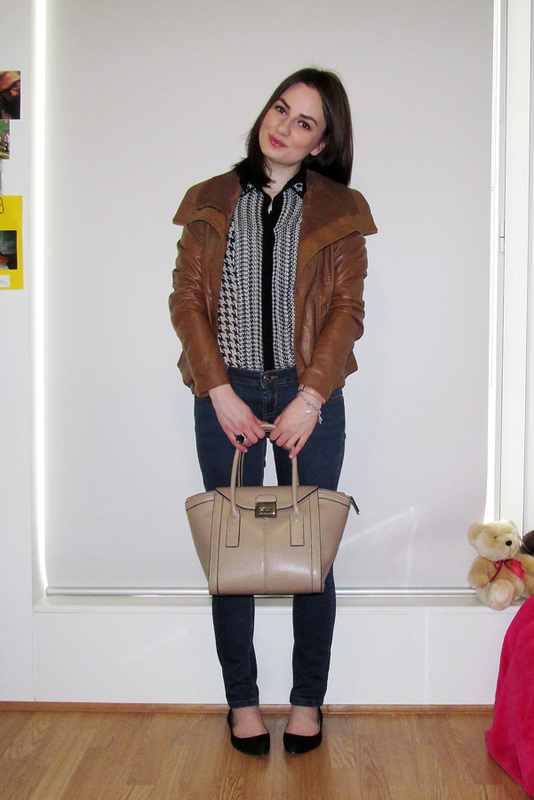 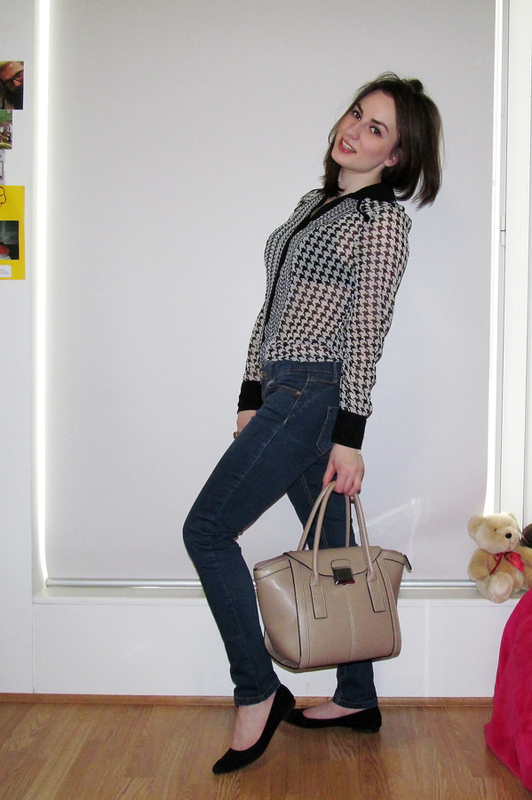 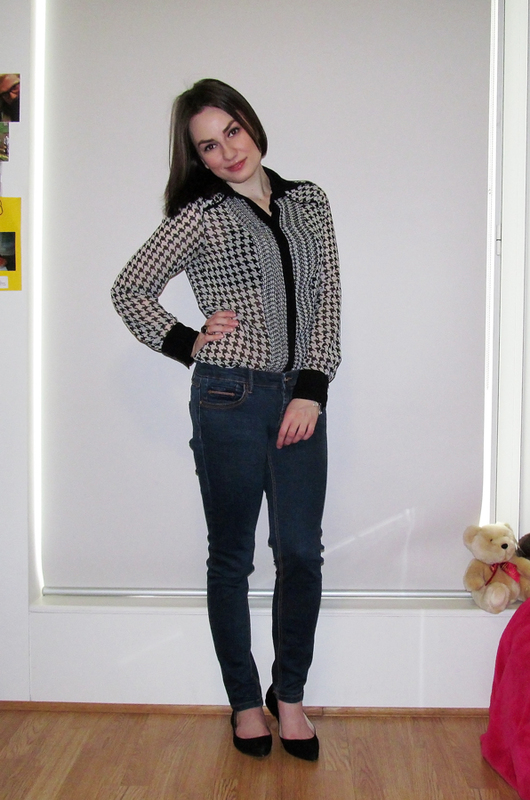 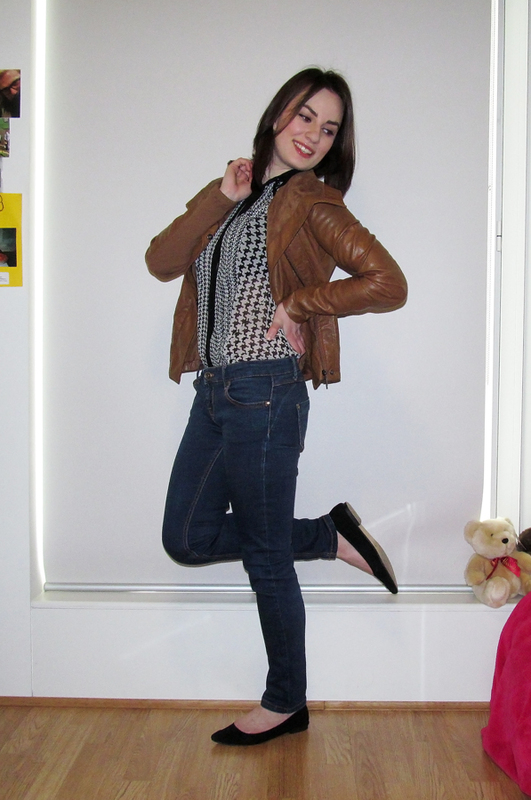 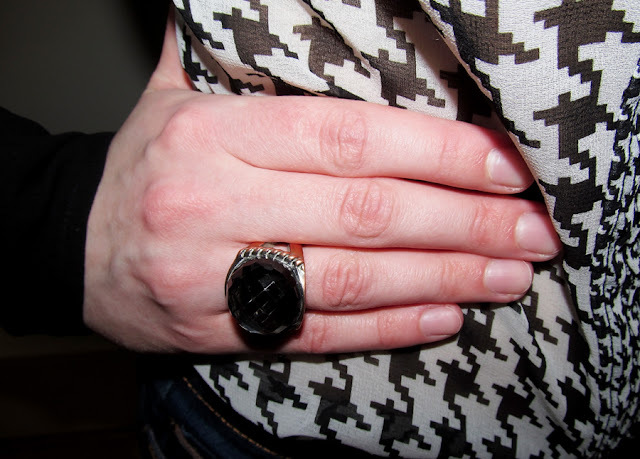 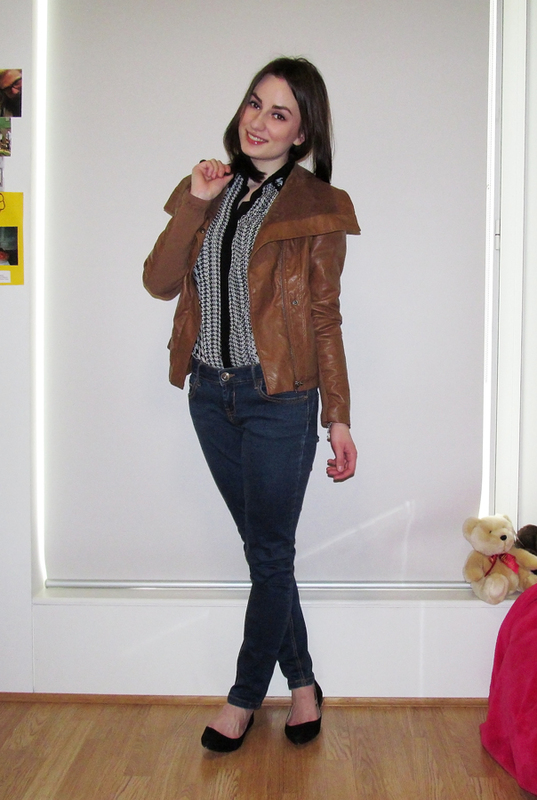 I was wearing a blouse with dogtooth print, skinny jeans, pointed toe ballerinas and faux leather/suede jacket. 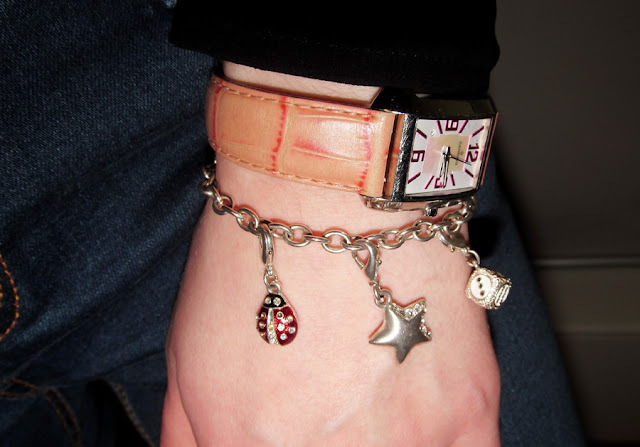 From accessories I had watches, chained bracelet with pendants, ring with stone and structured handbag. 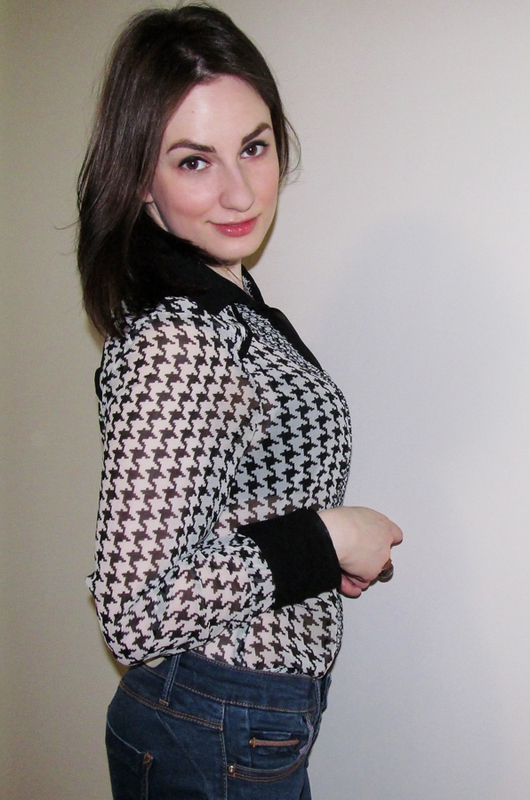 The look was finished by flowing hair and eyeliner.